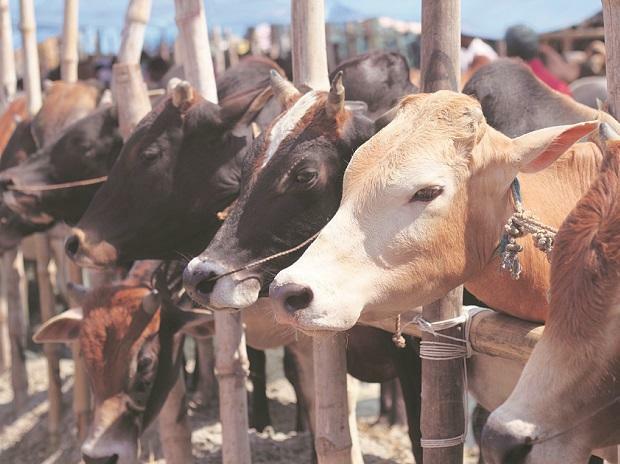 Two persons, suspected to be involved in an incident of cow slaughter, were injured in an exchange of fire with police in a village here, officials said on Saturday. The incident occurred in Shikarpur village on Friday evening. Upon receiving information about the alleged incident of cow slaughter, a police team reached the spot and surrounded the suspected cow slaughterers, who opened fire on the personnel, according to Superintendent of Police Alok Sharma. The police team retaliated. Two suspected cow slaughterers and a constable were injured in the exchange of fire, while two men managed to escape, he said. "The injured cow slaughterers were arrested and hospitalised," the SP said. Police have seized 100 kg cow meat from the spot, he claimed.